EatDrinkFilms has several pairs of passes to give away to our readers for various programs at the 6th Annual Oakland Underground Film Festival. To qualify, please send an email to krystal(at)oakuff(dot)org with the name of the movie(s) in the Subject line. In the body of the email, include your name as it should appear on the pass list. Please specify if you are bringing a guest. Winners will be chosen at random on a first-come, first-served basis and you will be notified only if you have won. You may enter for more than one program. Win passes and then buy tickets for other movies. Support independent films. Ticket Giveaway #1 – Deadline to enter is Friday, September 26, 7pm. Back-to-School Friday hits where it hurts with a teen-angst double feature: First Period at 9 pm, followed by an 11pm showing of the cult classic Heathers! Sixteen Candles meets Hairspray in the hilarious camp explosion of First Period, the gayest, drag-iest teen movie you’ll ever see and quite a tribute to your favorite ’80s flicks. 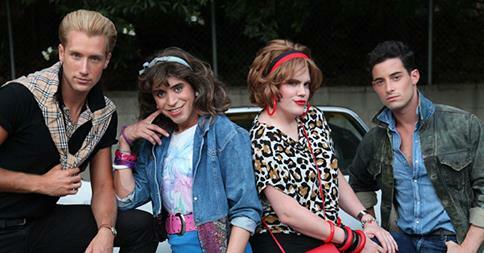 It will be followed by a late-night screening of its obvious predecessor, Heathers! A movie as timeless as it is darkly razor-sharp. This double feature starts at 9pm at Humanist Hall in Oakland. Ticket Giveaway #2- Deadline to enter is Sunday, September 28, 12 noon. The East Bay Premiere of Mia Engberg’s Belleville Baby. A call from a long-lost lover makes a Swedish artist reminisce about their shared past. She remembers the spring when they met in Paris, the riots, the Vespa, the romance and the rage, and a cat named Baby. Screens at 2pm on Sunday at Humanist Hall. Ticket Giveaway #3- Deadline to enter is Sunday, September 28, 6pm. The Closing Night Gala is the outsider filmmaker doc, Giuseppe Makes A Movie, from director Adam Rifkin. 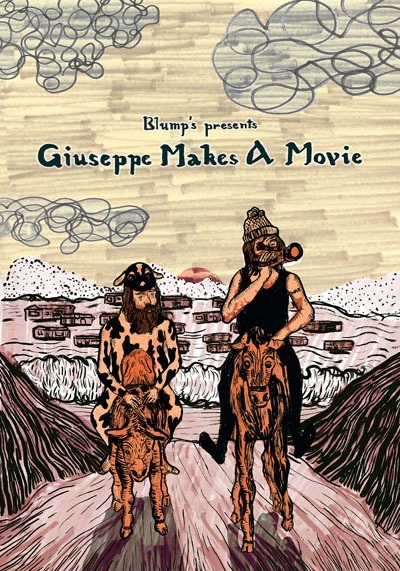 “Giuseppe Andrews runs a one-man movie studio from his mobile home in Ventura, California. He’s made 30 independent features and sets out to make his latest, Garbanzo Gas, over just two days. Follow a totally original oddball as he shoots and directs his outlandish story about an escaped cow enjoying an all-expenses-paid trip…to a motel.” (Angie Driscoll, HotDocs). 8pm at Humanist Hall. OakUFF places special emphasis on local filmmakers, social justice, urban life, the environment and works of fiction and nonfiction that thrive outside of classic narrative filmmaking. The festival provides first-look opportunities at films that entertain, educate, and inspire, by celebrated filmmakers, and emerging artists alike. 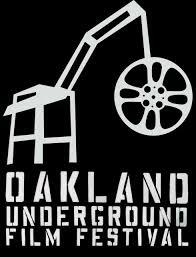 The 6th annual Oakland Underground Film Festival (OakUFF) takes place September 25-28, 2014 at The Grand Lake Theater (3200 Grand Avenue Oakland, CA 94610), and the Humanist Hall (390 27th St., Oakland, CA 94612). All screenings are $10. Tickets, festival passes, and full schedule are available at www.oakuff.com.